Bassist Charles Fambrough died on January 1, 2011. He had been ill for last few years, battling end stage renal disease, congestive heart failure and pulmonary hypertension. He had been receiving dialysis treatments as well. He was 60 years old at the time of his death. Fambrough was born in Philadelphia on August 25, 1950. 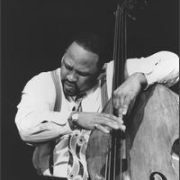 Originally trained on the piano, Fambrough received a scholarship to study classical music, but picked up the bass at age 13, eventually leaving school to pursue his true passion in jazz as a bassist. By 1968 he was performing professionally in various pit bands around the city. In 1970 Fambrough joined Grover Washington Jr.’s band with whom he played for over three years, while the saxophonist experienced his first commercial success. After a stint with Airto Moreira and Flora Purim, he then joined the band of fellow Philadelphian McCoy Tyner, appearing on Tyner’s albums Focal Point, The Greeting, and Horizon. He later joined the Art Blakey Jazz Messengers in the early 80s, when that band featured Wynton and Branford Marsalis. When Wynton Marsalis left Blakey to record and tour as a leader, Fambrough was a part of his group, and was featured on Marsalis’ Fathers and Sons album for Columbia. Fambrough also had considerable experience playing Latin jazz, as a sideman with Airto Moreira and Flora Purim, as well as Jerry Gonzalez and the Fort Apache Band. Fambrough also regularly performed and recorded with pianist Bill O’Connell. Fambrough recorded over six albums as a leader, including The Proper Angle and Blues at Bradleys for CTI, City Tribes on Evidence, Upright Citizen on NuGroove, and Live at Zanzibar Blue on Random Chance. He was a first-call bassist in his hometown for his entire life, backing artists such as Shirley Scott and Bootsie Barnes at local venues like Ortliebs, Zanzibar Blue and Chris’s Café. Fambrough had a big robust sound on the acoustic bass and was well-respected by his peers and jazz fans. 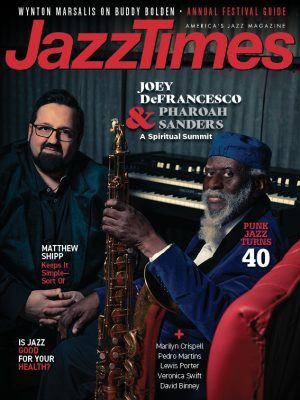 The Philadelphia jazz community had held a few fundraisers and celebrations for Fambrough including a recent one on December 8 at the Clef Club attended by Stanley Clarke, Lenny White, Wallace Roney, Pat Martino, John Blake and Veasley among many others.